I have decided to start vlogging my weight loss journey as a way of staying more accountable, and hopefully inspiring any of you amazing people out there. So we all know I have been gaining rather than losing this year, but that is all about to change!! I have to be bikini ready by the end of January in order to take the most amazing vacation EVER!!! Don and I are celebrating our 10 year anniversary this November (I can’t believe it has been that long already), so we have decided to treat ourselves to a way over-priced but amazing vacation to Bora Bora. 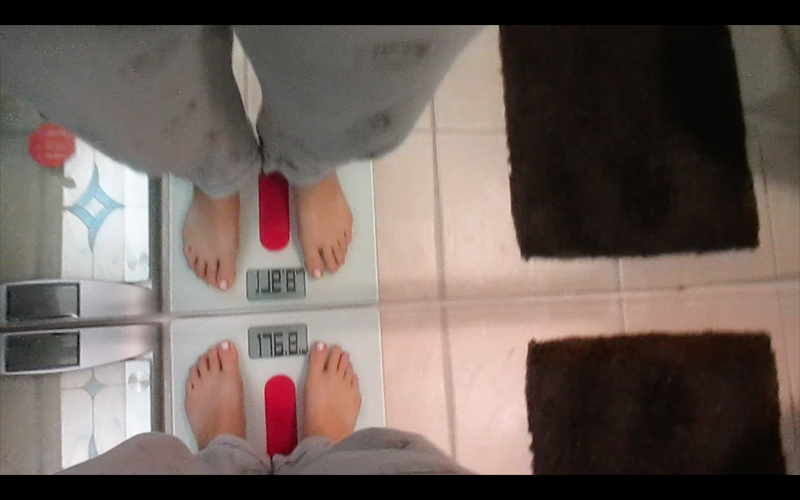 We decided to go in January because we wanted to give ourselves 5 months to try to get in shape, so here we go…. 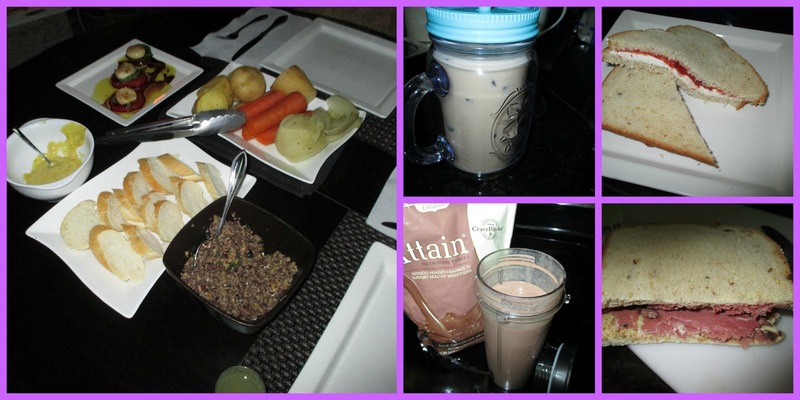 I started my day off with a cup of iced coffee, and a bowl of quaker oats instant oatmeal mixed with Almond Milk. Later that day I had some SPLASH2O which is a sugar free zero calorie drink. 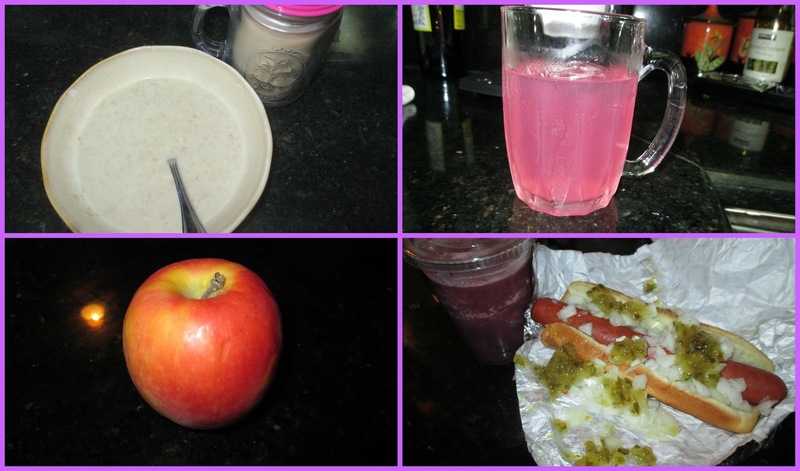 I had a very late lunch which was a Costco hotdog with onions, ketchup, mustard, and relish, with a very berry smoothie. For dinner I just had an apple as I had had such a late lunch. 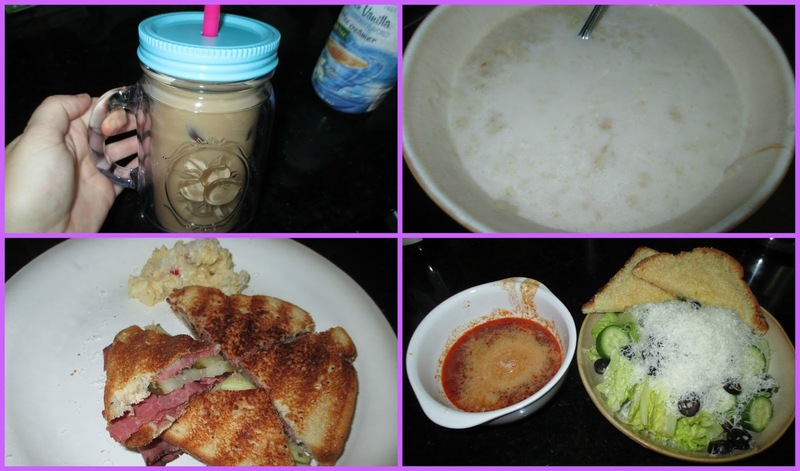 Once again starting off with my coffee and oatmeal, I then had a grilled pastrami sandwich with a tiny amount of potato salad, and for dinner I had seafood brodetto, and a garden salad with garlic toast. 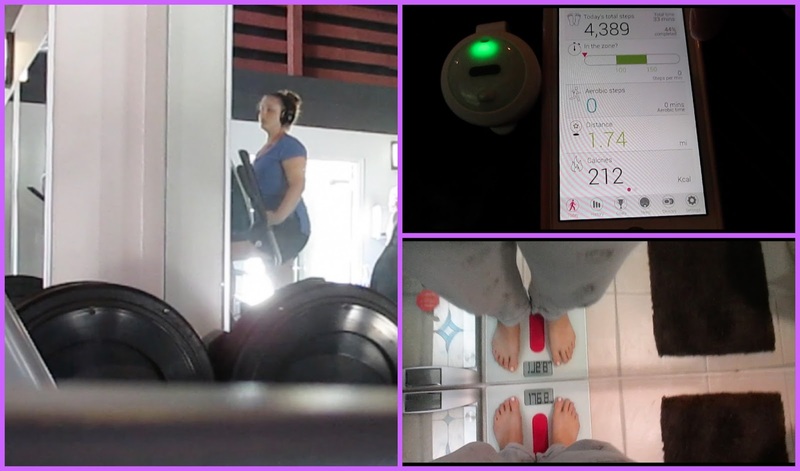 I ALSO WENT TO THE GYM AND DID THE ELIPTICAL MACHINE, I DID 7,875 STEPS, AS WELL AS 1,860 AEROBIC STEPS. I ALSO SWAM A FEW LAPS IN THE POOL. Starting of with my oatmeal and coffee, then I needed a snack to go to the gym so I had an apple and a mini bay bell cheese. 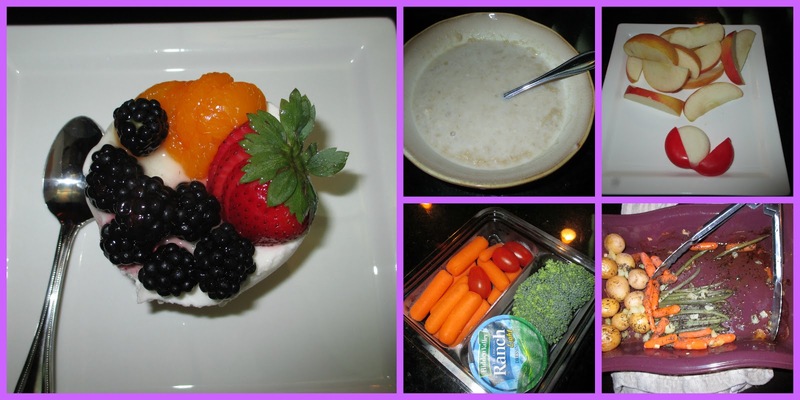 When I got back I had a veggie snack pack and for dinner we had roasted vegetables, and a Marscapone cake with blackberries, mandarins, and strawberries on top. I went to the gym and as usual I did the elliptical, I took 3,710 Aerobic steps and 11,622 regular steps. Again with the coffee and oatmeal, but this time I added a handful of blueberries and 6 raspberries. For lunch I did 1 apple 1 mini bay bell, 5 broccoli trees, and 8 cherry tomatoes. For dinner I had leftover roasted vegetables and a roast chicken. I once again did the elliptical doing 2,867 aerobic steps and 6,811 normal steps. I was getting bored with the oatmeal so I had my normal coffee and then thought I would have a cream cheese and jam sandwich but it wasn’t very good so I had an attain shake instead. For lunch I did 1/2 a pastrami sandwich, and for dinner I had Caprese salad, steamed root vegetable (parsnips, carrots, potatoes, and fennel), Tapanade, Aioli, and French Bagette. 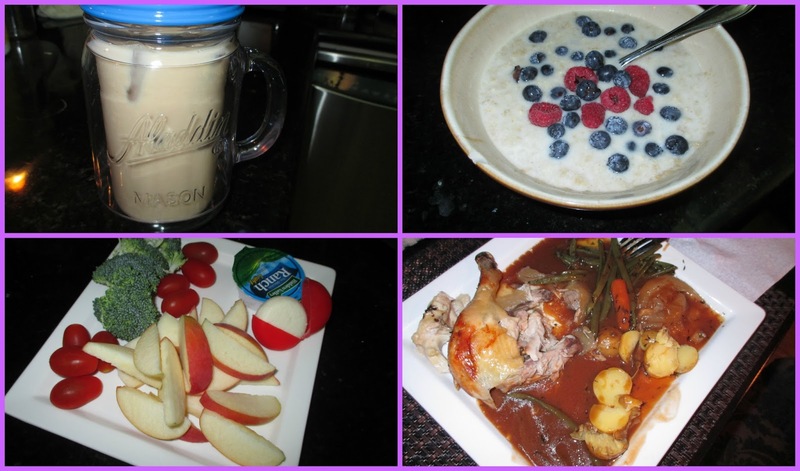 I didn’t film or take pictures of todays meals as I had to rush out the door very early, but I had a starbucks protein plate, an Iced vanilla latte, and left overs for dinner. Today I was down one pound and wanted to have a fun night with Don who wanted OutBack for diner so I started the day with coffee and 2 poached eggs with pesto on leftover baguette and 1 sliced tomato. 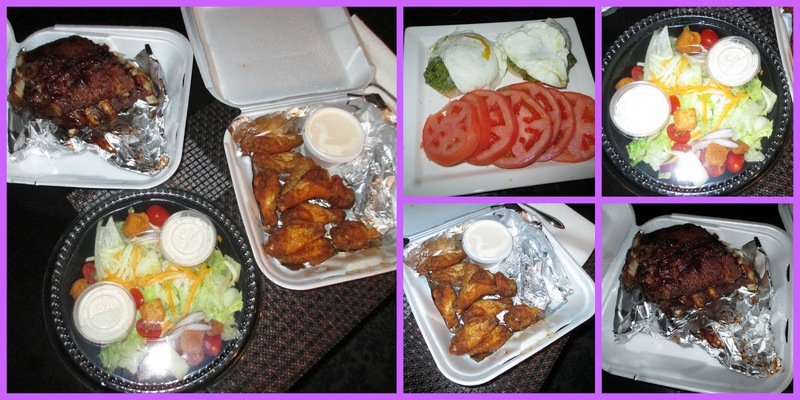 we then got dinner about 3pm and I had a house salad, chicken wings, and i ordered ribs as well but I didn’t eat them.